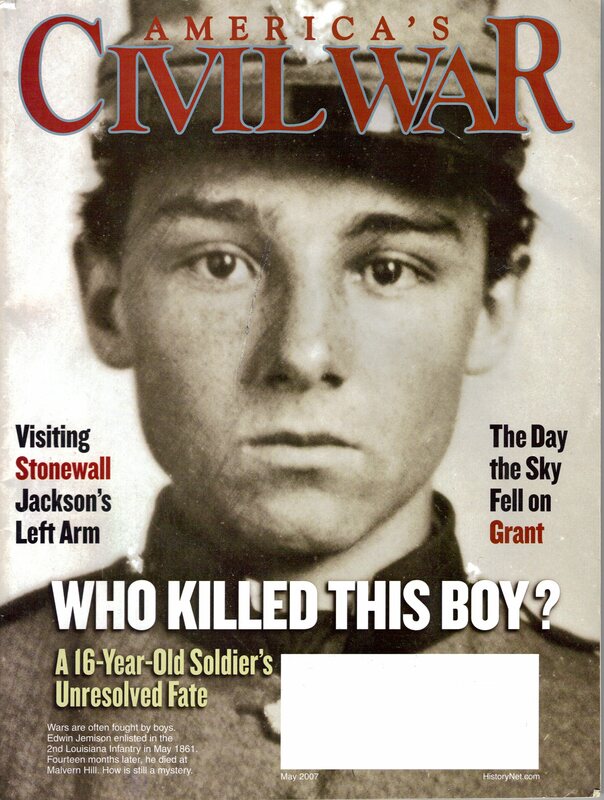 This vulnerable young private’s face has long been an icon of the Civil War. For years he was misidentified and the manner of his death remained unknown. New York City, a bastion of Northern capitalism, had strong commercial and economic links to the Plantation South. “Stonewall” Jackson’s left arm lies a-mouldering in its own grave, with its own grave marker. How would things have been different if Ulysses S. Grant had been killed in 1864? Battle and disease posed the greatest threats to Civil War soldiers, but errors by the military justice system also caused casualties. In a letter to Robert E. Lee’s son, Jeb Stuart laid out his desire for higher rank and his lack of confidence in one of his senior officers. A massive explosion rocked Pittsburgh in September 1862. Something had gone horribly wrong at the Allegheny Arsenal. The benefits of continuing to research the Civil War are numerous. A bullet from the same volley that mortally wounded “Stonewall” Jackson pierced topographical engineer Captain James Boswell’s sketchbook, killing him.